Welcome! As you read this (with your eyes) and understand it (with your brain), perhaps turning to the next page (with muscle actions of your fingers, hand, forearam, and arm), you are using the human body to do so. 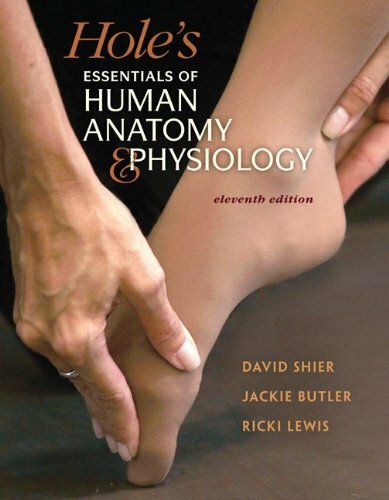 In this eleventh edition of Hole’s Essentials of Human Anatomy and Physiology, our goal is to provide you with an interesting and readable introduction to how all of this works! It is not simple, and there are times when it may not seem easy, but it is always fascinating, and understanding how your body works can be fun! Many of you are on a path toward a career in health care, athletics, science, or education. We understand that many of you face the challenges of balancing family, work, and academics. Always remember that your course is not so much a hurdle along your way as it is a stepping stone. We have written this book to help you succeed in your coursework and to help prepare you to make that journey. We are authors, but first and foremost we are teachers, active in the classroom. What we and our reviewers do in class is reflected in this new edition. Students have always come first in our approach to teaching and textbook authoring, but we now feel more excited than ever about the student-oriented, teacher-friendly quality of this text. Along with updated versions of the extra resources that students and teachers alike have found so helpful over the years (Anatomy and Physiology Revealed®, text websites, and so on), we are especially pleased to present the new Learn, Practice, Assess approach. Each chapter opens with Learning Outcomes, contains many opportunites to Practice throughout, and closes with Assessments that are closely tied to the learning outcomes. Students can use this new feature not only to focus their study efforts, but also to take an active role in monitoring their own progress toward mastering the material. All of these resources are described in more detail in the Chapter Preview beginning on page xviii.